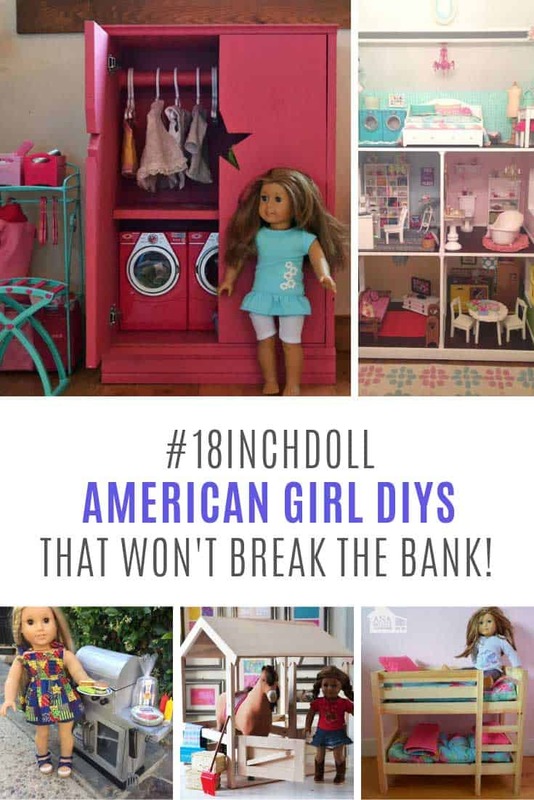 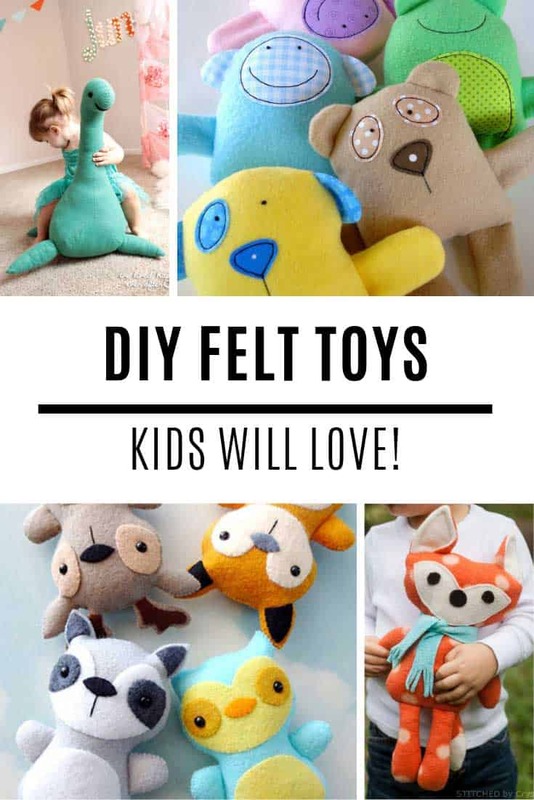 Are you on the hunt for your next DIY project? 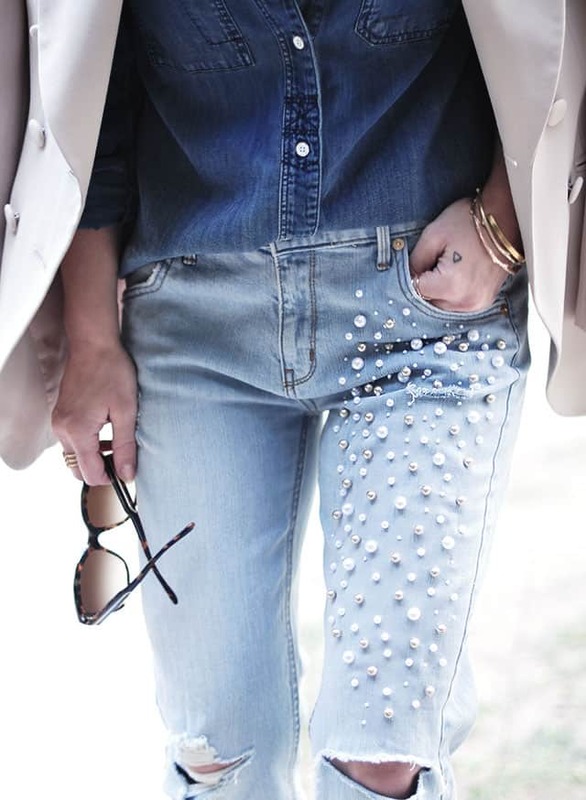 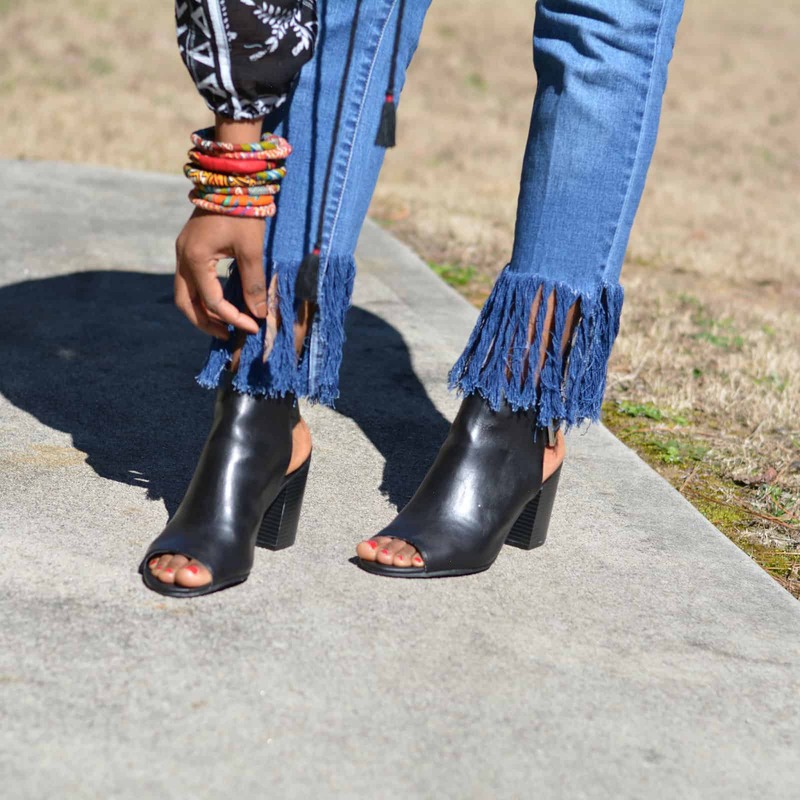 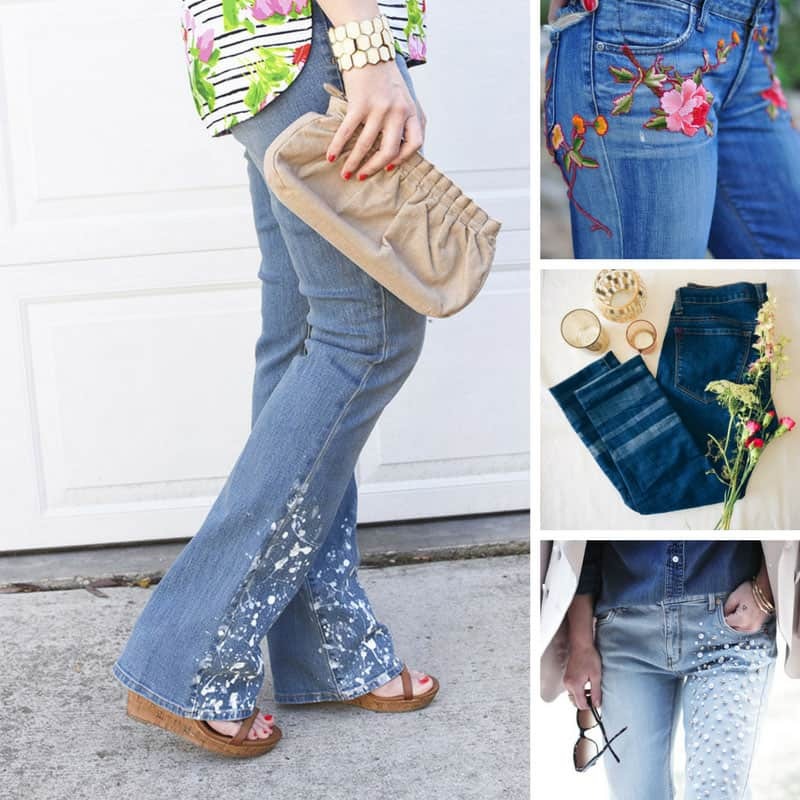 There’s plenty to fall in love with when it comes to these fun and fabulous ways to refashion old jeans! 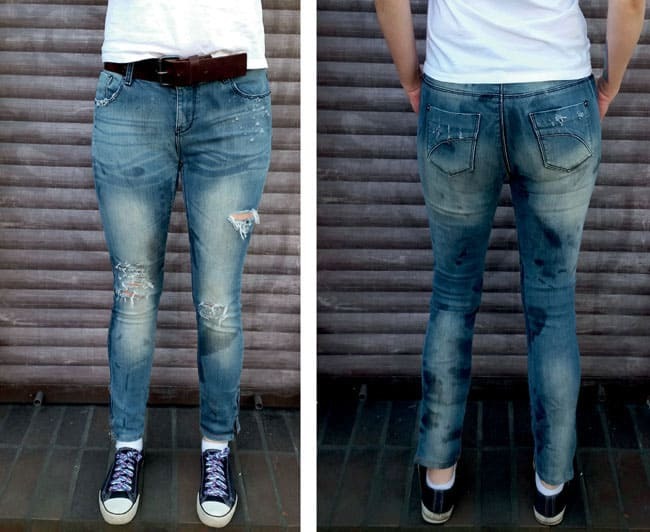 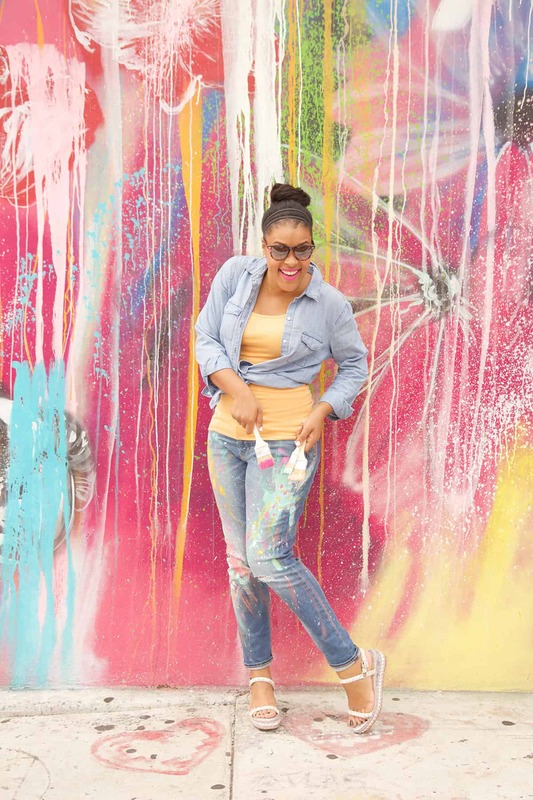 Forget about boring blue denim, once you see this DIY project from Delineate Your Dwelling you’ll be dying to make your own pair of splatter jeans! 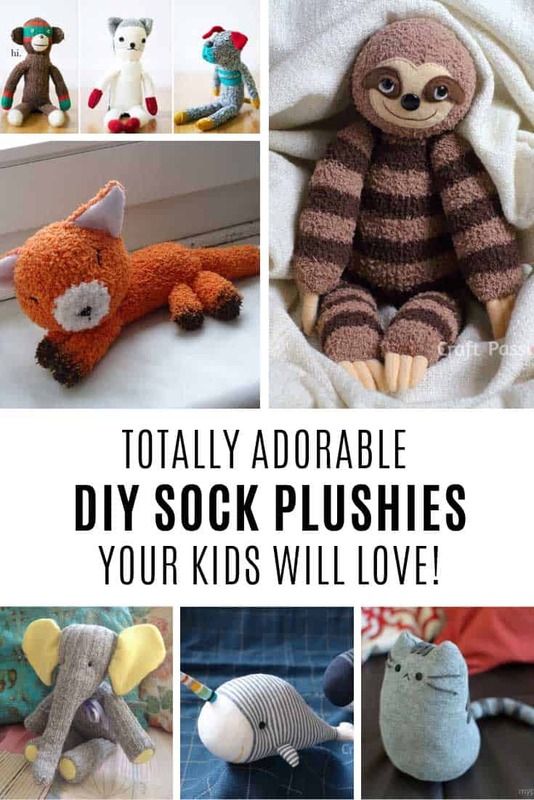 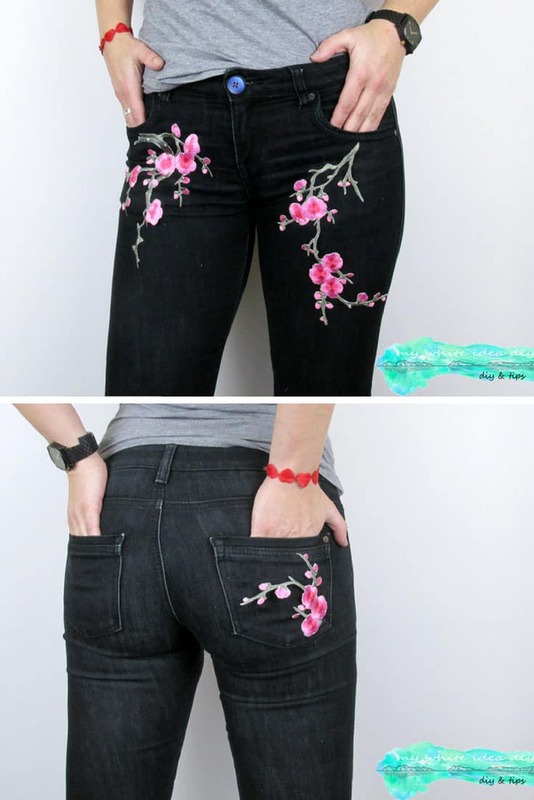 This is such a fun and simple project kids will be able to decorate their own jeans too. 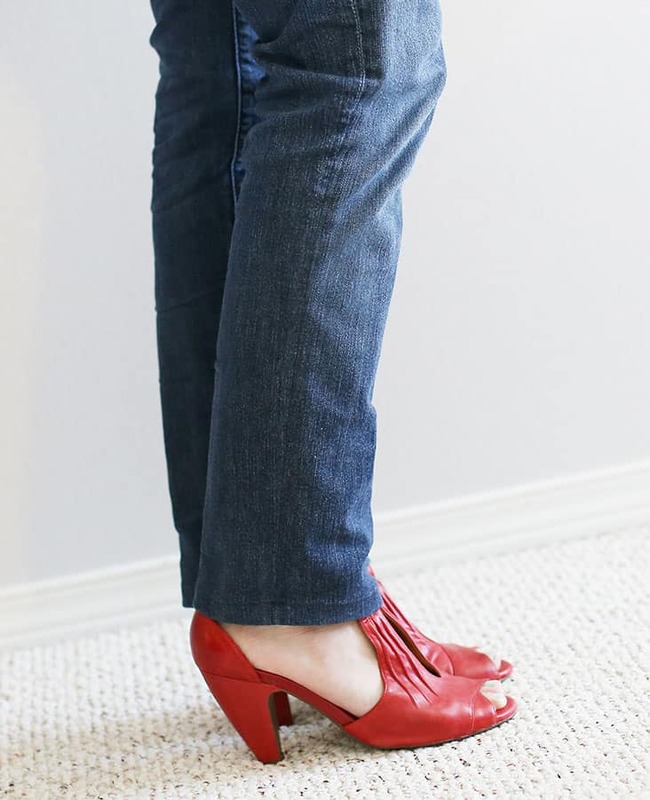 Breathe some new life into an old pair of copy jeans, or head down to Goodwill to pick up a pair or two to refashion! 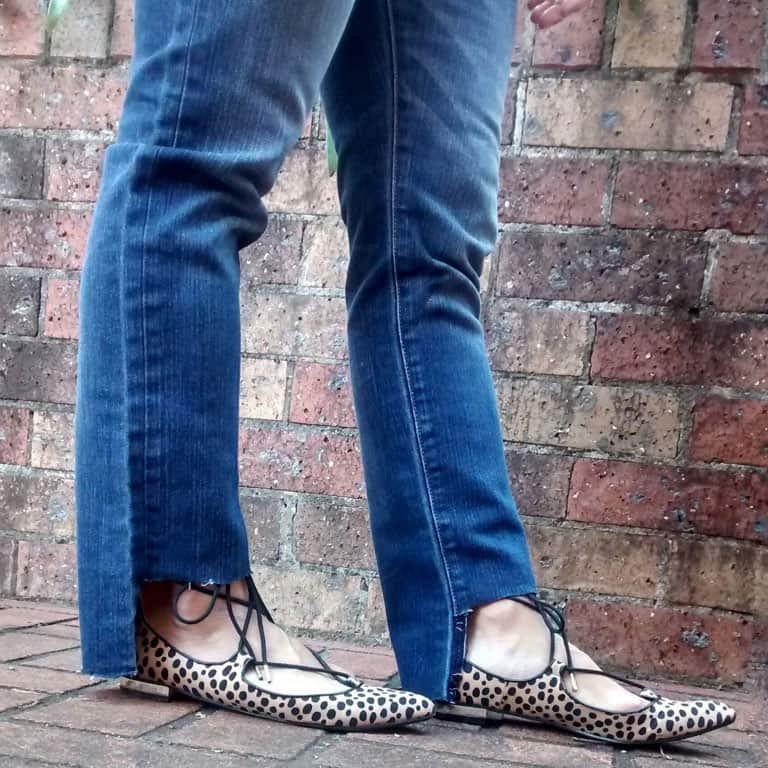 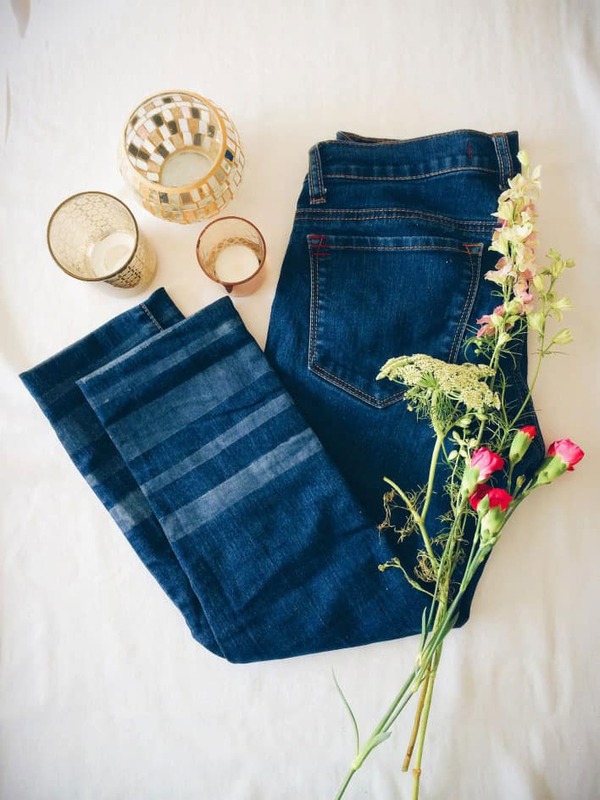 You know we can never stop at just one DIY tutorial right so we scoured our favourite blogs to come up 24 more ways to refashion old jeans. 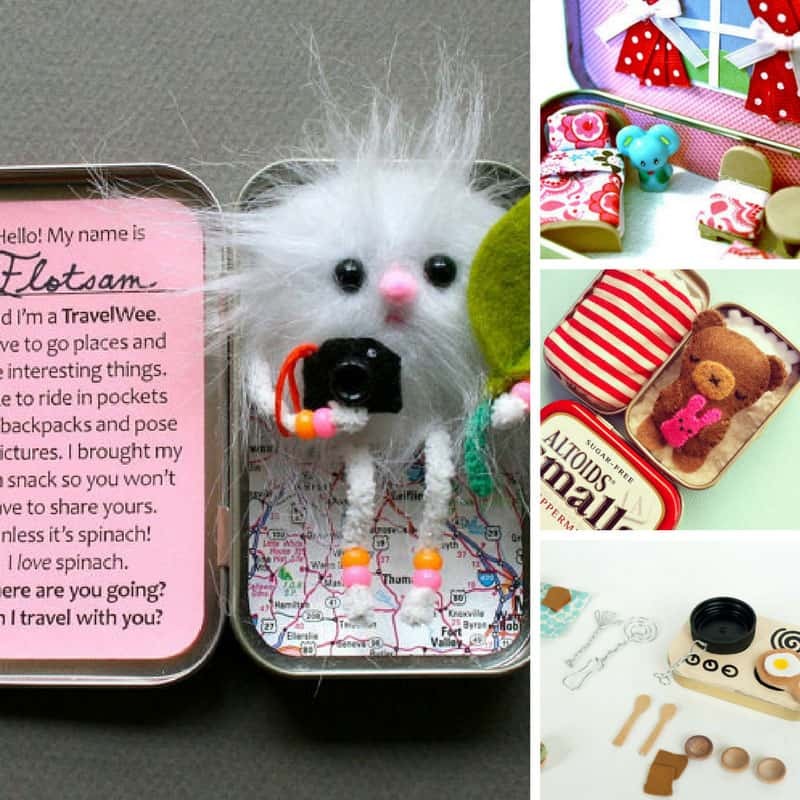 There is plenty here to inspire you! 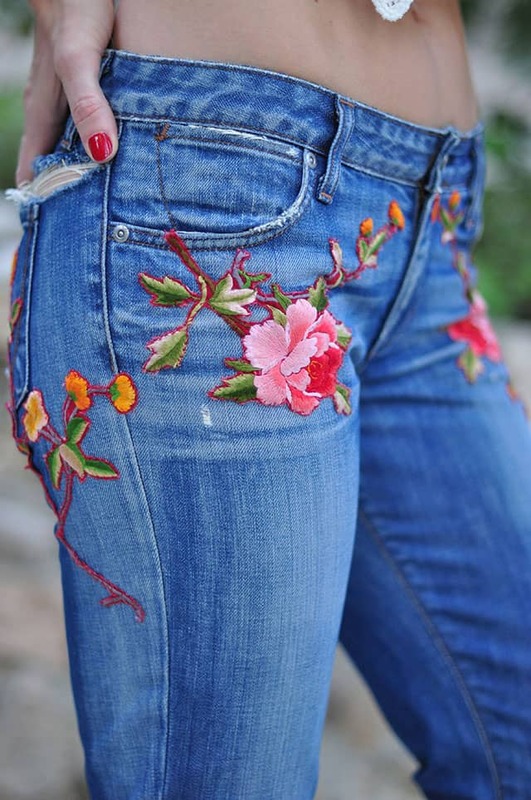 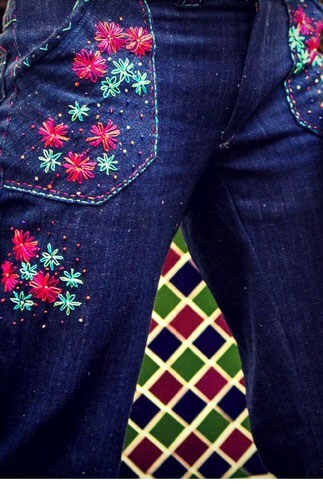 We’ve got everything you could want to make your jeans stand out from the crowd, from hand embroidery and crushed jewels to ankle zips and even a pom pom trim! 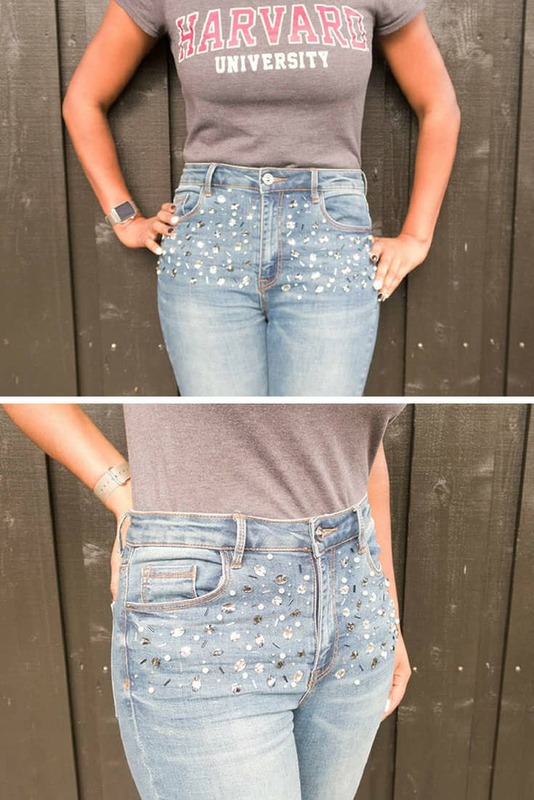 ==> jean patch repairs collection! 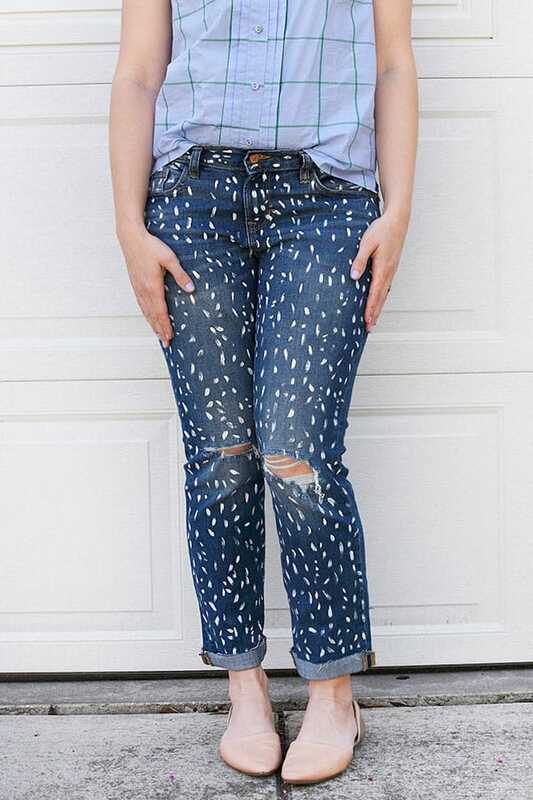 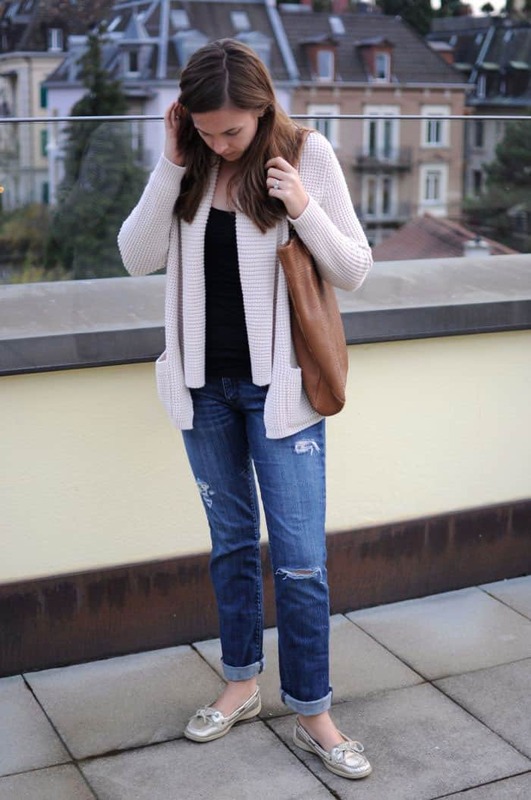 ==> DIY cut off jeans collection!